A new law will put cameras on school bus stop arms in Albemarle County. 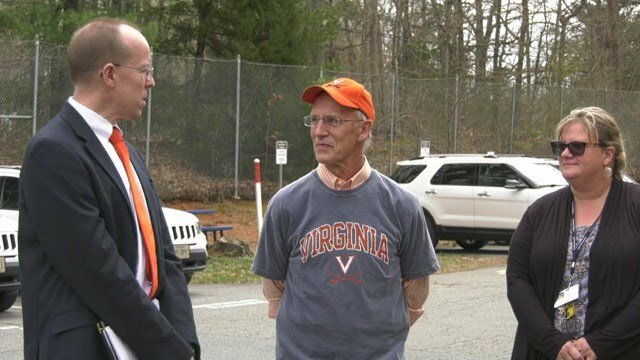 ALBEMARLE COUNTY, Va. (WVIR) - Starting next school year, drivers in Albemarle County who cruise around stopped buses will pay a hefty fine, thanks to a new state law. On Tuesday, political officials and bus drivers got together to announce the next steps for the stop-arm camera program. Lawmakers are getting the ball rolling with the new technology in an effort to catch drivers speeding by. “We’ve seen the data show that thousands of drivers are driving past buses,” said Albemarle County supervisor Diantha McKeel. Delegate Rob Bell introduced the legislation after bus drivers and county supervisors took their concerns to the state level. Now signed into law – the legislation will allow localities to implement bus stop-arm camera programs in its division. Delegate Rob Bell introduced the legislation. “These are the school bus drivers who saw this problem every day and said ‘you all have got to get this fixed, you gotta get it done,’” Bell said. The cameras can sense movement and film vehicles passing while the stop arm is out. Albemarle County police could then review the evidence and fine violators $250. Dozens of school bus drivers in Albemarle County signed a petition to install cameras on the stop arms. The program won’t cost taxpayers and money and the company in charge is installing the cameras free of charge, but will collect its money back through a portion of the fines. “We will move as quickly as possible to match our county ordinance to the state code so that hopefully by the beginning of the school year we’ll have this in place and ready to go, McKeel said. The plan is to change that ordinance around the same time to law goes into effect on July 1. For now, cameras will only be placed on buses that have some of the more problematic routes – like Earlysville Road. A notice will be sent out to the public before being implemented.